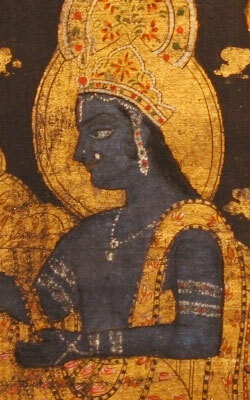 Indigo have been importing & restoring antique furniture from India,Tibet, China and Japan for more than 30 years. The business was established in the 1970's out of a shared passion for Asian furniture & antiques which we collected on our many travels to India. All of our stock is personally selected by ourselves, at source, on the basis of its originality & patination. The majority dates from the 19th century, although some pieces are 18th century & some early 20th century or reproduction. Each piece is restored & hand waxed or lacquered in our own workshops in Wiltshire. This gives a far superior finish to the furniture found elsewhere which is sprayed with cellulose lacquer normally used on cars. We always carry a large selection of antique furniture, reclaimed wood furniture, architectural antiques, textiles & smaller collectibles plus a good range of reproduction accessories which is on display in our showrooms. There is also large selection of additional stock stored in our extensive barns. Individuality is what makes us different at Indigo, so you can be assured that whatever you select will be very special, beautiful and unique.We supply retail customers as well as trade and interior designers. Our welcoming staff are always happy to help you, but most importantly will allow you to browse without pressure.